Lily Sastry is not a name that would ring bells for many because she is not exactly a celebrity. Instead, she is the daughter of the very famous English actor and comedian, Rowan Atkinson, who is better known by many as Mr. Bean. In recent years, Lily has found herself being drawn in the media following her relationship with her father which many have speculated has been rusty for some time. Beyond just being popular as the daughter of the iconic actor and comedian, Lily is also an actress and a dancer. 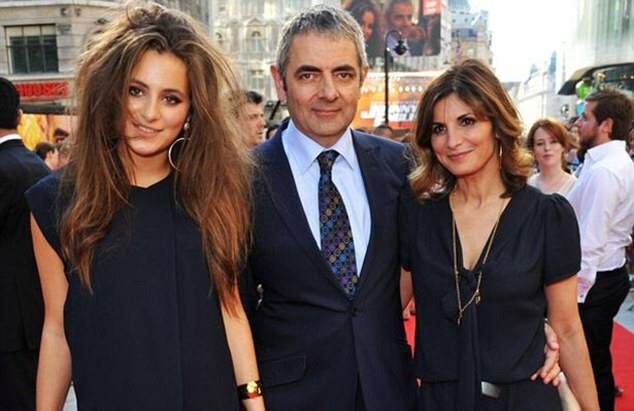 It was in 1995 that Lily Sastry was born as the second child of Rowan Sebastian Atkinson and his wife, Sunetra Sastry. She was brought up together with her brother, Benjamin Atkinson, who was born in 1993. Not too long after the birth of Lily and her brother, their mother quit her job to dedicate all her time to raising her kids. While nothing much has been provided about her childhood, it is known that she was educated at a private all-girls school in London. More so, she has taken acting and singing classes since she was five. In 2017, at the age of 22, Lily followed in the footsteps of her father in physical performance. However, instead of comedy, she is now a burlesque dancer. Also, she performs her own original songs, something she has been doing since 2017. Also in 2017, Lily Sastry had shows at the Pheasantry and London’s West End. The 5-star shows were sold out and towards the end of the year, she held another one in London at the St. James Theatre . With regards to her music, Lily comes up with her own blend of music which incorporates Soulful RnB and jazz, as well as what she describes as Cheeky cabaret and sass. Lily is also an actress who has appeared in a number of films including the 2004 family fantasy movie Tooth and the 2007 comedy family film Mr. Bean’s Holiday in which she appeared alongside her father. In 2011, she also appeared in Johnny English Reborn which again, features her father. Since then, she has continuously taken some other on screen roles. Lily was raised in a rather small family with just her brother, Benjamin. Her grandfather, Eric Atkinson, was a World War Two veteran and also a farmer while her grandmother was Ella May Bainbridge. While, as already noted, Lily Sastry’s father is an actor and comedian, her mother is a makeup artist, Sunetra Sastry. The couple met in the late 1980s when Sunetra worked with BBC as a make-up artist and the two got married in February 1990. With two children between them, born in 1993 and 1995, Rowan and Sunetra were together until 2014, 24 years after they got married, before they separated. The marriage came to an end officially in 2015 in divorce. Shortly after the separation in 2014, it became known in the public domain that Atkinson was dating the much younger film actress Louise Ford. Before Atkinson and Ford were cast together in Quartermaine’s Terms in 2013, the actress was in a relationship with English comedian, James Acaster. Not too long after, it was announced that Lily’s father and his new woman were expecting their first child together. Not too long after the news broke, Lily dropped the name of her father and instead, goes with the maiden name of her mother. In December 2017, Mr. Bean’s third child and the half-sibling to Lily Sastry was born. As regards Lily’s change of name, however, there are those that suggest that it may be because she is also a performer like her father but wants to become famous on her own rights and not riding on the popularity of her father. But then, many link it to the fallout between her parents. Following the end of the union between her parents, there was the rumor across social media that the relationship between Sastry and her father had gone sour and the two were no longer seeing eye to eye. It was at this point that it was claimed that she even ditched her father’s name. However, late in 2018, Lily Sastry and her father were spotted together when she went with him to celebrate the premiere of his film, Johnny English Strikes Again; the two were spotted at a party in Mayfield.